Brown’s Quality Automotive Services is your local radiator repair shop in Vancouver WA. We can provide you with radiator replacement services, with our team of certified technicians. By choosing Brown’s Quality Automotive Services every service is backed by a service guarantee. You’ll also be in contact of our progress at each step of the repair and replacement process. The radiator is a part of your engine’s cooling system, it’s purpose is to keep the engine from overheating, and the coolant to remain at a cool temperature. If you notice that water or coolant is leaking from your vehicle (the coolant is either green, yellow, or orange), you’ll want to take your car in for an inspection. At Brown’s Quality Automotive Services, we offer aftermarket aluminum radiators and aftermarket radiators for trucks. If you are looking for Heavy Duty Radiator Replacement, you have come to the right place. Our technicians have the knowledge and experience to replace your radiator right the first time. When Should I Have My Radiator Replaced? We can perform a pressure test to find a leak, while you can also request an internal pressure test to see if combustion gas is leaking. A team member can also check to see if the pressure cap is keeping the proper pressure levels. If these products need to be replaced, we’ll recommend that; our radiator shop carries plenty of premium parts. In addition to leaks, other signs that you might need a radiator replacement include rusting around the system and an overheating vehicle. After a thorough inspection of the radiator, cap, hose and belt, and thermostat, we’ll determine if a replacement is truly necessary. Once our team replaces the radiator, we’ll check for leaks and inspect the durability of the hoses. 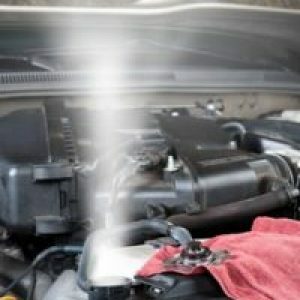 Why Do I Need Radiator Flush Service? A radiator flush is a service that every car owner needs on a regular basis. The interval will depend on what type of car you drive, how frequently you drive it, and what type of antifreeze you use. A good rule of thumb is to do it every year, but you can always call our shop for advice in this matter. We’ll remove the old coolant and refill the system to the proper level. We’ll make sure to follow the instructions laid down by your car’s manufacturer. Since 1999, Brown’s Quality Automotive Services has been working on cars and trucks of all sizes. We’re conveniently located in Vancouver WA, and we take pride in our affordable pricing. To request a radiator replacement service or radiator flush, contact us at Brown’s Automotive Services today to schedule an appointment.